What if the most important aspect of being an entrepreneur wasn’t experience, knowledge, hustle, a great idea or even financial backing? What if the key to success as an entrepreneur is something you can just decide to be? That’s what my guest on this week’s Brilliant You Podcast discovered. When her experience and knowledge of accounting failed her. And her drive and determination fell short. Even when she had to accept bankruptcy as her only answer there was one thing that kept her on the entrepreneurial path. Bravery. 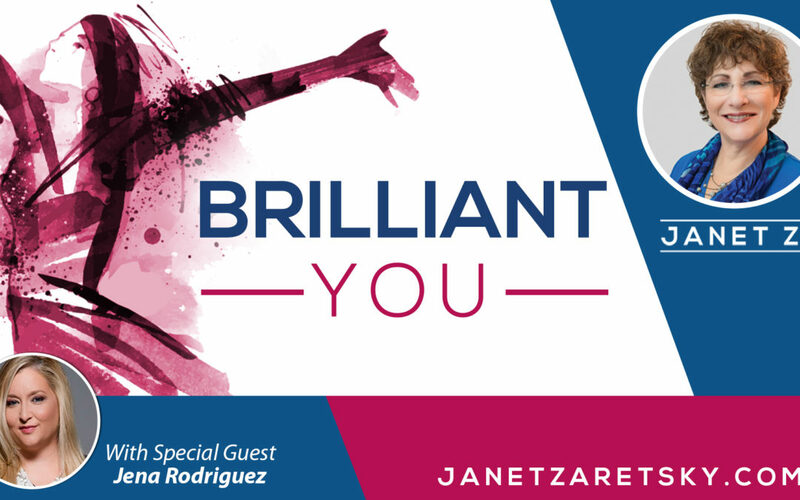 I’m thrilled to have Jena Rodriguez join me on the podcast this week. Jena is a self-proclaimed ‘Brave Master’ who helps entrepreneurs access their own bravery. It something she had to learn to access after leaving her corporate job and failing at her first business. In this episode she shares the inspiring story of her bumpy journey to success and she explains how being brave got her through it all. Whether you’re still dreaming of quitting your corporate job (like Jena did) or you’re a powerhouse woman in business who, let’s face, still struggles from time to time, Jena’s tips on how to channel your bravery will help you take that next step toward your future. She explains what it means to be brave (in life and business). She also shares the three steps to being brave and owning it, without apology. And, Jena even gives you access to a worksheet that will help you determine where you are in your entrepreneurial journey so you can find your vital pace. Plus, we wrap up this episode with an amazing challenge that if you take it will instantly make you more confident in your business. By the end of this episode you’ll know how to get out of your own way, stop listening to the stories you create that create barriers and more importantly, be fully empowered to get your brave on.